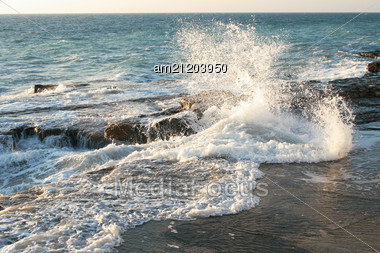 Royalty-Free Stock Photo: Storm On The Sea Shore Of The Caspian Sea. Month Of February. Find similar images with "storm sea shore caspian"